Wow, I really disliked this! 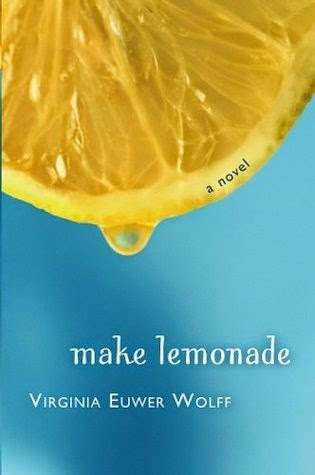 Our school librarian recommended it to me and I'm always excited to read novels in verse, but Make Lemonade by Virginia Euwer Wolff did nothing for me. Lavaughn takes a job babysitting for teenage mom Jolly's two kids, Jilly and Jeremy, and ends up getting more and more involved in their lives. I didn't find any of the characters likable, so did not care very much about their fates. Perhaps it's because I've known too many Jollys--people who don't take responsibility and say, "Nobody told me." I only finished the book because I could read it in an hour. Now I have to think of what to say to the librarian when I see her again!